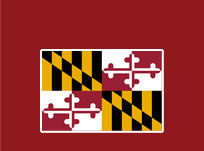 We are excited to welcome you to the official website of the Howard County Genealogy Society. We invite you to come in, look around our site, and check out all that we offer to genealogists, family historians, and researchers. The Howard County Genealogy Society was organized in 1976 by a group of people with a common goal: researching and preserving their family histories. Today, with a roster of over one hundred members, and growing, HCGS continues its tradition of promoting genealogy and family history research and encouraging the affiliation of people interested in the pursuit of their ancestral heritage. We offer monthly programs featuring informed speakers to meet the varied interests of our members and the community. Membership in the HCGS has its own rewards: our bi-monthly newsletter Family Tree; ability to submit surname information into our surname database, help sessions to help break through those genealogy brickwalls, special interest group meetings, and opportunities to become involved in one or more of our activities and projects. Members may login to access their membership profile, contribute to the forum and Surname list, view current and past newsletters, and and search our members only databases. If you are a current member and do not have a logon and password, please contact webmaster@hcgsmd.org . Non-members also benefit from the HCGS public databases, the research guides, and much more. Not a member? Become a member today. Follow us on our Facebook page to receive timely updates about genealogical activities and our society. You don't have to be a member of Facebook to view our page, but Facebook requires you to be a member to post comments.